I’m a tea drinker. I enjoy it iced or hot, but lately tea has become more than just a regular beverage. It’s becoming the next “chicken soup.” There are now hundreds of studies done annually on this more than 5,000-year-old drink. The interest in tea as a #health beverage is founded on observations that populations that drink a lot of tea seem healthier than populations that don’t. Tea is the most-consumed beverage worldwide next to water. And according to the Tea Association, Americans consumed well over 50 billion servings of tea in 2004, or more than 2.25 billion gallons. About 87 percent was black tea, 12.5 percent green tea, and the small remaining amount was oolong tea. Whether you’re a regular tea drinker or just starting out, here’s what you need to know about tea. Is it true that tea has more #antioxidants than almost any whole fruit or vegetable? Yes — sort of. Tea is an excellent source of antioxidants. While it’s hard to make a general comparison, a rough estimate suggests that two servings of tea equal one serving of your average antioxidant-packed veggie. So it might seem strange that tea sometimes gets billed over vegetables as an antioxidant powerhouse. Since nearly 95 percent of tea’s polyphenol compounds are flavonoids, tea ranks among the plants with the highest total flavonoid content. Green tea contains more simple flavonoids, called catechins, while black tea contains more complex varieties, called thearubigins and theaflavins. And don’t get discouraged that the Food and Drug Administration refused to allow a health claim for green tea on labels; it simply felt that more studies were needed to justify a claim that green tea has the ability to lower the risk of cancer. Do different teas come from different plants? Tea, by definition, is a leaf that comes from the Camellia sinensis bush. It is then graded depending on the way it is processed, says James A. Kinsinger, Ph.D., corporate director of regulatory compliance of The Hain Celestial Group Inc. Only white tea comes from a different part of the plant than the others (the leaves at the branch tip, the tip of the bud and the leaves just below the bud), while green, black and oolong are made from the upper leaves. To achieve a variety of tastes, manufacturers carefully control whether, and for how long, the tea leaves are exposed to air, a process called fermentation. When fermentation is completely arrested, the tea stays “green” or yellowish brown. When fermentation time is long, the leaves darken and become “black” tea. Somewhere in between these two extremes, “oolong” tea is created. The more intense the fermentation or oxidation, the more intense and robust the flavor. Are herbal teas really teas? No. A 6-ounce cup of tea usually contains 25 to 60 milligrams of caffeine, less than the typical 100 milligrams found in 6 ounces of coffee. Rumors of tea’s high levels of caffeine started because, pound for pound, tea does come out ahead of coffee with regard to total caffeine. So in its dry form, tea has more caffeine — but at the point of consumption, coffee is far ahead. Is green tea the healthiest of all teas? Green tea is traditionally thought to have the highest amount of antioxidants, and for this reason, it has the best reputation. However, a preliminary study at Oregon State University indicated that white tea may actually have more antioxidant power than green. And a separate study conducted at the Chinese University of Hong Kong suggests that black tea has the same level of antioxidants as green tea. “Individual compounds in green tea have been tested in more detail than individual compounds in black tea, and there have been more studies on a wide variety of health issues with green tea, including many more on animals and in vitro testing, most with very positive results. Black tea has the most human studies, particularly epidemiological studies, with very positive results. White tea is the least studied but probably has more of the catechin antioxidants than either green or black tea. Catechins have been studied as individual compounds and have clear health benefits. So there is no clear winner, as all tea is beneficial,” says Kinsinger. Do you need to drink 10 cups a day to benefit? Some Chinese homeopathic health practitioners advise 10 cups per day, but a lot of research suggests that much isn’t necessary. For example, just two cups of tea provide as much antioxidant power as a serving of vegetables, and research indicates that metabolism speeds up after five cups. And a study at Cleveland’s Case Western Reserve University suggests that four cups of tea may prevent rheumatoid arthritis. “Most scientists have based their studies on ‘normal’ amounts of tea, three or four cups, but some scientists think that five or more cups a day are necessary,” reports Simrany. Does iced tea have the same benefits as hot tea? I would hope so, since approximately 85 percent of tea consumed in America is iced. Most experts agree that if brewed, iced tea has the same amount of antioxidants, catechins and flavonoids as hot tea. Instant iced tea, on the other hand, contains negligible amounts of catechins. Will adding lemon, sugar or milk eliminate health benefits? No. Sugar, sweeteners, milk and lemon do not appear to have any effect on the antioxidant levels of tea. Do tea bags or loose tea leaves need to be stored in the fridge? No. Tea should not be placed in a refrigerator because the change in temperature when the product is used could contribute to “sweating,” which could lead to mold formation and deterioration of quality. Similarly, tea should be allowed to breathe, so excess moisture may safely evaporate. Do green tea supplements provide the same health benefits as tea? We still don’t have a definitive answer on this one. While the label says you’re getting 10 times (or more) the polyphenols in a cup of tea, the FDA has very loose policies regarding supplement labels. And even if packaging rules were more stringent, we don’t yet know exactly what happens when you extract something from the tea leaf — so, until further research is available, the true effectiveness of supplements remains a mystery. Does tea help you burn calories? One study showed that participants who drank five 10-ounce servings of tea burned an additional 67 calories a day when they drank tea instead of an equal amount of water. Green tea also may burn extra calories and oxidize fat, perhaps specifically due to the compound epigallocatechin gallate. One study found that green tea extract increases metabolism and fat burning at a rate of almost 80 calories per day. Another recent study appearing in the American Journal of Clinical #Nutrition demonstrated that tea containing 690 milligrams of catechins significantly reduced body fat after 12 weeks. However, I wouldn’t give up on eating a healthy, low-cal diet just yet. This is a preliminary study and has yet to be corroborated — and tea won’t erase all those extra doughnuts and cookies. What else does tea offer besides antioxidants? It’s good to remember that tea has properties aside from antioxidants: Black tea may lower bad cholesterol and reduce the risk of heart disease; green tea may increase your metabolism; and researchers in Japan have identified a compound in green tea that may block a key cell receptor involved in producing an allergic response in humans, indicating that tea might help alleviate allergies. In addition, it looks as though green tea may have properties that help it function as a glucose regulator. This is important because it slows the rise in blood sugar following a meal. In fact, the American Dietetic Association lists green and black tea as a “functional food.” Based on available scientific research, health benefits of drinking black or green tea include possible reduced risk for coronary heart disease, as well as gastric, breast, bladder, colon, rectal, esophageal and skin cancers. Tea and tea flavonoids have also been shown to help strengthen the body’s immune system, protect teeth by inhibiting plaque bacteria and potentially fight free radicals produced during strenuous exercise. And just recently, a study reported in the Archives of Internal Medicine found that women who consume two or more cups of tea daily over a period of time may lower their risk of ovarian cancer by 46 percent compared with women who never or seldom consume tea. The study found that each additional cup of tea consumed per day was associated with an 18 percent lower risk of ovarian cancer in study participants. What about the health benefits of herbal teas? “Since the compounds in herbal tea are different, the health benefits are different from actual tea. Many herbal ingredients, and the teas that they produce, have high levels of antioxidants. 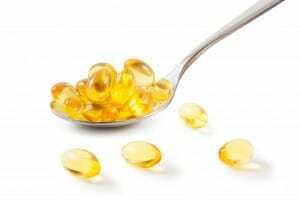 But these are different antioxidants and will react with different parts of the body,” says Kinsinger. Chamomile, for instance, purportedly helps calm the stomach. 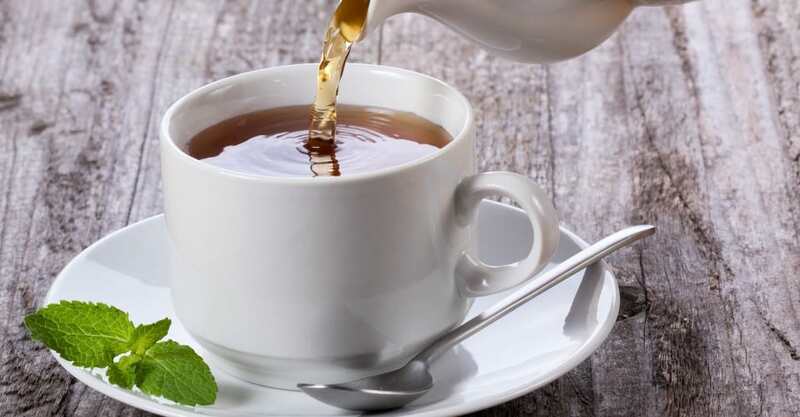 Peppermint may be a digestive aid, which is why restaurants often provide mints after a meal, but drinking peppermint tea will have the same effect. However, there is little or no evidence for these effects other than anecdotal.